There are not too many people in the world who can lay claim to having the initials ‘OBE’ after their name, but Jonathan ‘Jiffy’ Davies is one of them. When not presenting for the BBC or being awarded honours by Her Majesty, Davies is also known to frequent Karma’s resorts. 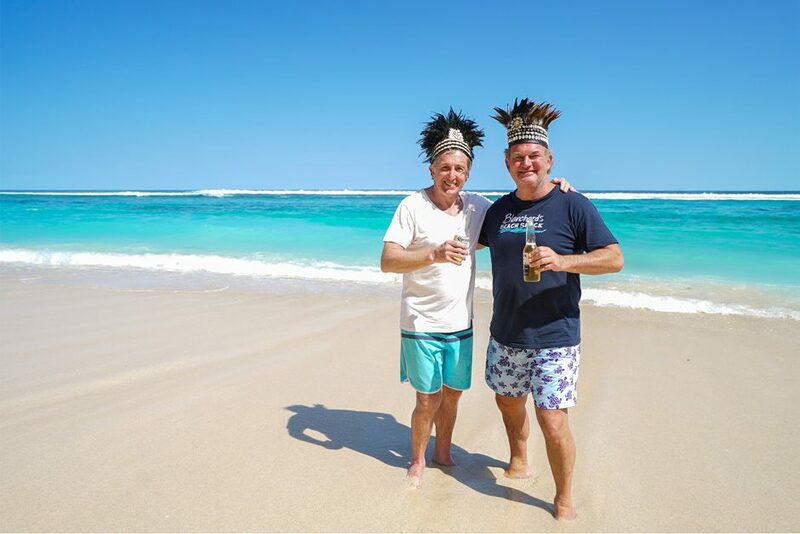 During his recent trip to our flagship 5-star luxury resort, Karma Kanda, in Bali, we took the opportunity to catch up with ‘Jiffy’ and ask him for his take on Karma resorts, luxury, and of course the 2017 rugby season! What brings you to Bali? We’ve never been before, yet we’d always wanted to come. It seemed like the perfect time of year for it, and we’ve also been very keen to stay (here) at Karma Kandara. I love the food; I’ve had quite a few Nasi Goreng while I’ve been here, it’s delicious! Luxury is a state of mind in some ways. We all run about in our daily lives, heads down and getting on with it, and sometimes it’s good to raise your eyes and look out at something spectacular. That’s what we’re doing here (at Karma Kandara), it’s about spending quality time in beautiful destinations. I quite enjoy wine and the wine room here – it’s something special – and the beach, the restaurants. You can relax here. What’re you looking forward to this year rugby-wise? The biggest thing this year is the British Lions tour of New Zealand. They’re playing against the best team in the world at the moment, the All Blacks, and I think that’s going to be an incredible tour and good for the game. Other than that – I believe that it’s the development of the game generally. We’ve got some challenges ahead, and for me, the answer is in better marketing and grassroots rugby. Grassroots competitions mean more people playing the game – and that’s what counts. Karma’s been a huge supporter of rugby at all levels – and that is so important. Karma’s involvement at a grassroots level – with the HSBC Rosslyn Park (National School) Sevens and the like – adds a lot of value to the future development of the game. Have you visited our rugby-loving pub, Stokes and Moncreiff, in Twickenham? I have been there on many an occasion – I can remember being there during the World Cup with many other notable rugby players and enjoying the ambience, it’s in a great location.